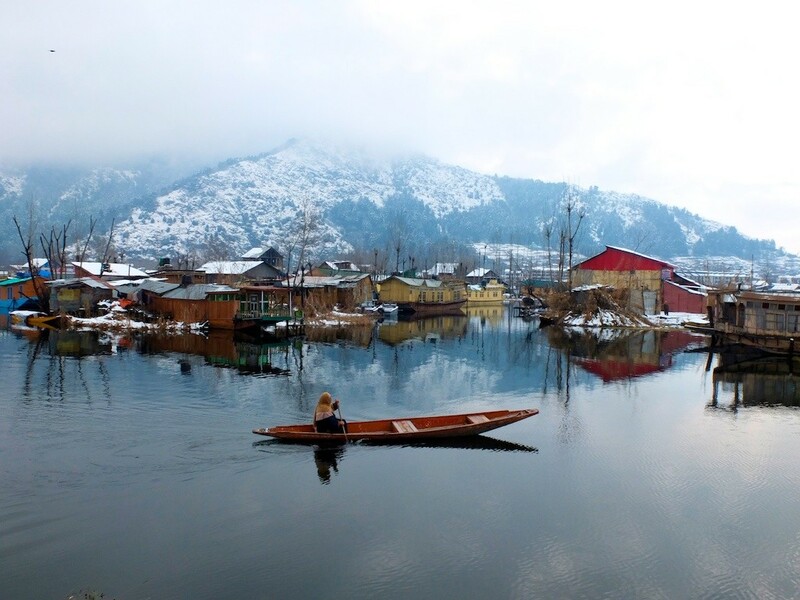 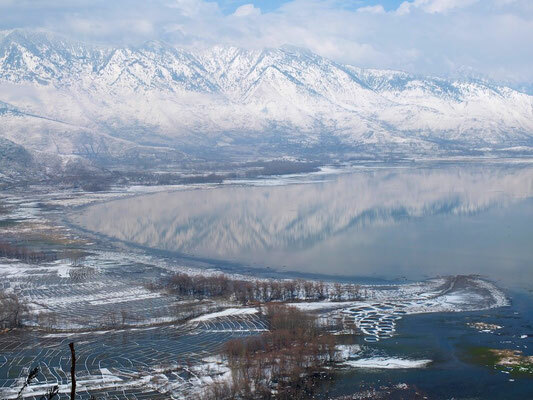 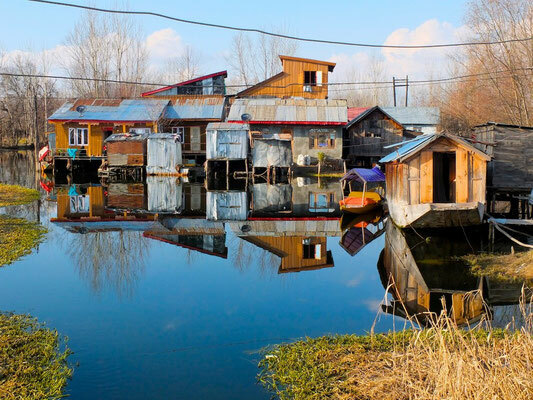 Srinagar in winter is grey, cold, sometimes with heavy rain falls or even snow falls. 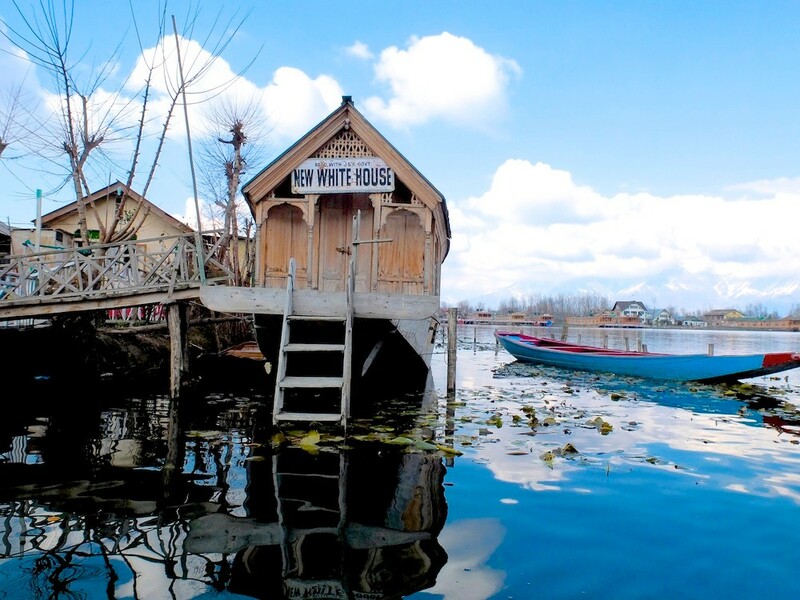 But Dal Lake - usually crowded with tourists - is quiet and empty. This particularly last point makes it worth to travel to Kashmir in winter. 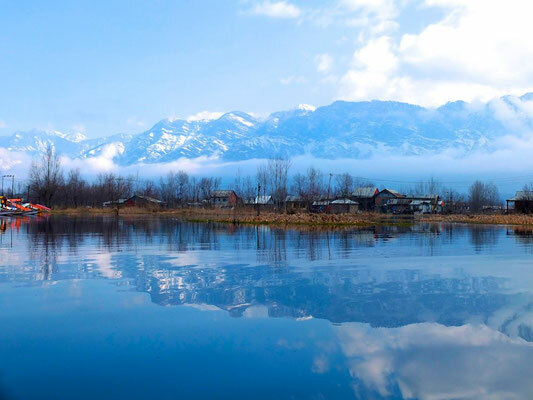 Paddling alone on the lake, ridding a bicycle along the shores, towards the beautiful "Almond Villa", the Golf club or the Shalimar Moghol gardens is priceless. 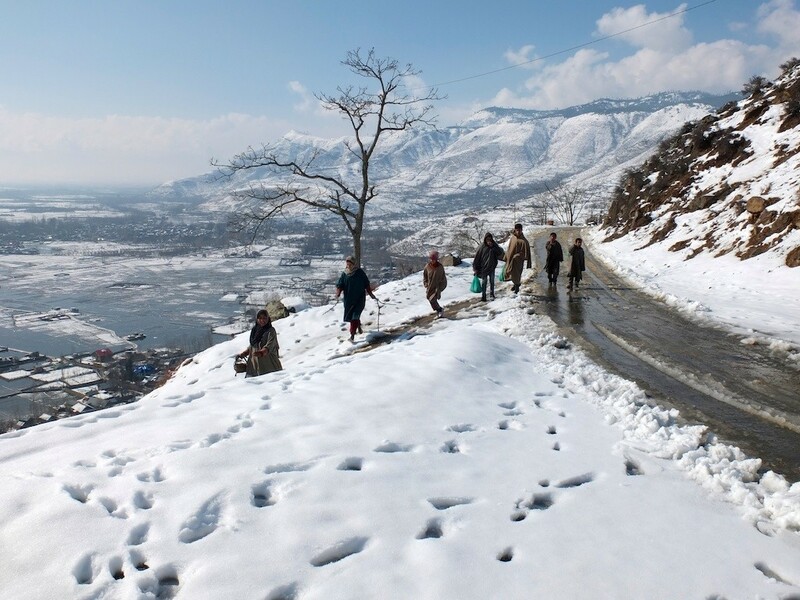 Being well prepared and equiped, a trip to the mountains will definitly become one of the nicest travel souvenir: eating breads and jam on a tea stall surrounded by walls of snow... and Kashmir's beautiful nature!